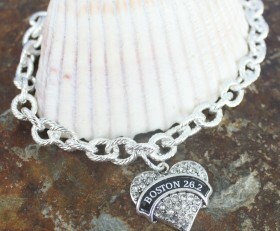 Categories: Boston Marathon, New, Running Bracelets, Running Jewelry. Celebrate you accomplishment at the greatest running race with this simple, but beautiful bracelet. 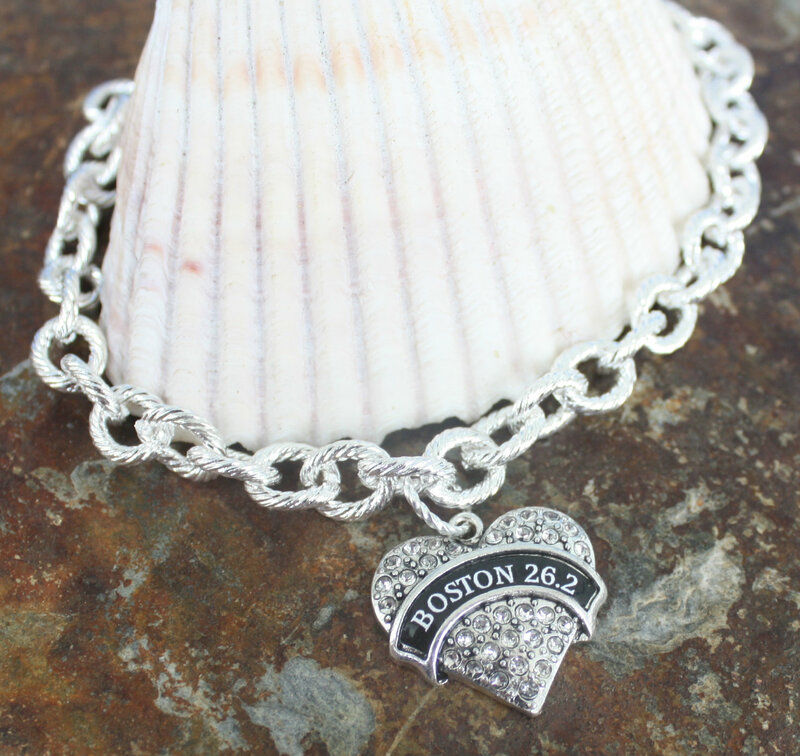 A crystal heart with Boston 26.2 hangs on a strong link chain.